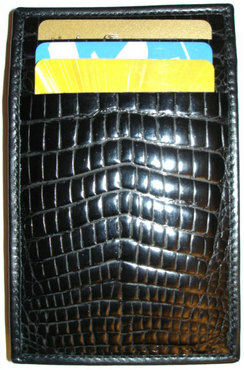 Great for money and can hold up to 8 credit cards or receipts. It’s a perfect gift for man or woman. Open the wallet, just place the credit card or paper between the 2 sides of the wallet. Close the wallet, open it from the back side and the credit card will automatically slip in the holder.